Tales from a tribble: Oh, What A "Night To Honor Israel"
Oh, What A "Night To Honor Israel"
My wife, Sheralyn and I just got back home from San Antonio and had an awesome experience at Pastor John Hagee's Cornerstone Church at his annual "Night To Honor Israel" on Sunday, October 26, with special guests, Dennis Prager and Israeli Ambassador Ron Dermer. "I want to thank Pastor John Hagee, Israel Ambassador Ron Dermer, Dennis Prager and all the great Christians attending for such an awesome tribute and support of Israel. Every speaker, including the rabbis opening and closing the service gave stirring words of wisdom which made this a night to remember forever! As a Jew to feel the love of so many Christians for Israel and the Jewish people was so heartwarming I can't express my appreciation enough. God Bless Pastor Hagee, Ambassador Dermer, Dennis Prager, all in attendance at Cornerstone Church, Israel, and America. Every friend of Israel, especially Jewish Americans should attend this Night to honor Israel. I can tell you, Sheralyn and I will be back next year! Blessings!" I should have added to my post of the so wonderful music [Jewish and songs of praise for the city of Jerusalem and the state of Israel] by the Cornerstone Church band, choir and solo singers. They were amazing. This was a night, not just to honor the state of Israel, but it was a night to specifically honor Israel as the Jewish state [now and forever] and also to honor all Jews everywhere in the world. There is one main theme that was clearly delivered from every single speaker and a theme that was to be delivered to Washington, D.C. and everywhere around the world. That theme: The Jewish people of Israel are not occupiers of the land or any part of the land, they are the owners! 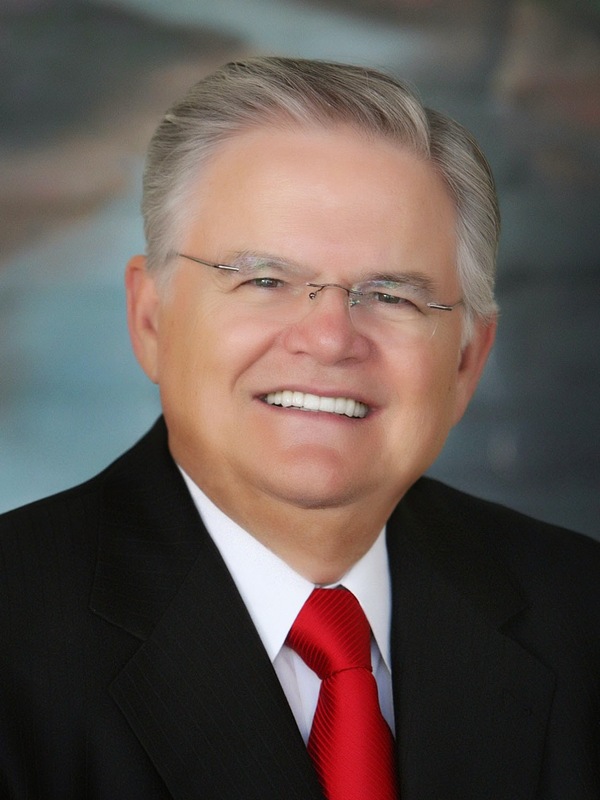 Pastor John Hagee began his great speech by telling the audience in his church to send out a message loud and clear to Washington D.C. of there support for the state of Israel and for Jews everywhere in the world. What happened immediately was a rousing, loud, five minute standing ovation and shouts of support for Israel. Pastor Hagee strongly condemned John Kerry and Barack Obama's attempts to tell Israel what to do in their own land [i.e., like where and what and when to build homes and businesses]. Pastor Hagee said Israel is not the problem, Israel is the solution, and we shouldn't be dictating to Israel on how to run their country, but instead we should be learning from Israel on how a country should be run [i.e., the strength and courage and moral clarity that the Jews in Israel display]. Pastor Hagee said that John Kerry's comment that if Israel didn't gain a peace treaty with the Palestinians they might be considered an apartheid state was despicable and John Kerry owes the state of Israel an apology. The Pastor pointed out, Israel is not only and can never be considered an apartheid state, they are just the opposite- one of the freest most Democrat inclusive states in the world. Arabs who live in Israel, said Pastor Hagee, have more rights and are treated more fairly than in any Arab country in the Middle East. Dennis Prager gave a brilliant and at the same time poignant speech, trying and being successful at [in his own words what he feared he would not be able to do] holding back tears. These would be tears of joy at the overwhelming love for Israel and the Jewish people shown by these Christians at Pastor Hagee's church. He told Pastor Hagee, don't let anyone try to belittle the importance of your church by calling you just a right wing Christian church. No, Dennis Prager said, Cornerstone Church is a mainstream Christian church that believes Israel is a Jewish state given to them by God. Dennis Prager said how the Holocaust is seared into every Jew's mind because it is not just like any other discrimination that Jews or others may face because this is not just a hatred that wants to discriminate against the Jews but exterminate them from the earth. Dennis said it is only the Jewish people who have faced such a hatred of wanting the whole people to be eliminated from earth. He said that is true today with the Islamists who could care less if Israel was just the size of Tel Aviv, because it is not land what these evil people want, but the extermination of the Jewish people everywhere. This is when Dennis made his statement that he said he hoped he could do without breaking down in tears. He said, because of the Holocaust, when I [and other Jews] meet a Christian on the street, it is in the back of my/our mind: "Would this Christian hide and protect me if there was another Holocaust." With that statement, everyone in the audience got to their feet and applauded and you could hear shouts of yes, I would." Dennis said that he knew beforehand that would be the reaction and that is what makes him feel an overwhelming gratitude to Christians like those members of Pastor Hagee's church. On a more humorous note, Dennis Prager told when one time on his talk radio show "The Dennis Prager Show", he commented that he had no real problem with the name Washington Redskins. He said a caller asked him what he would feel like if a team was named the Jews. Dennis Prager laughed and said, are you kidding me. The Jewish people have been looking for fans for 3000 years. I would be ecstatic for a team called the Jews and the fans shout, Go Jews! He said, I think all Jews would be rooting for that team. Ambassador Ron Dermer gave a wonderful speech of the history of Israel as the home of the Jewish people promised to them by God. He began his speech with great praise and thanks for Pastor Hagee and the members of the Cornerstone Church. He told us that, before he came here, the day before he had just spoken with the Prime Minister of Israel, Bibi Netanyahu, who told Ron to personally give great thanks to Pastor Hagee for his unyielding support for the state of Israel and the Jewish people everywhere. Ambassador Dermer then looked at Pastor Hagee and said, "When you first started your speech, you asked your members to send a message of support of the Jewish state of Israel that could be heard all the way to Washington, D.C. If I may ask of your members, can you once again make your voices heard so that Prime Minister Netanyahu and the people of Israel can hear your love for them." Wow, I thought I had never heard such an ovation, when Pastor Hagee made his request, but this was even louder and even longer. Ambassador closed his speech by saying, " I know you and millions of people are worried about us in Israel. The people of Israel are grateful for your support and all of your prayers. Continue to pray and give your support to the people of Israel but please don't worry about us. Then Ambassador Dermer looked at Dennis Prager and said, with all due respect to Dennis Prager, wondering if a Christian will hide us if in the future that is needed, that is the wrong question. Because, said Ron Dermer, [pause], when we say never again we mean never again. I don't think I have to tell you what huge eruption of approval that got from the audience. It was electrifying and gave me goose bumps. This was truly a wonderful, heart warming evening that I am so glad to have experienced. Oh, what a "Night To Honor Israel." Note: I made the following video, before realizing and being told that pictures were not allowed this evening of the Cornerstone Church singers singing Hatikva, the Israeli National Anthem. When I was told I immediately put down my camera, so about half way thru, that is why you see the screen go blank. This was truly beautiful. Thank you Cornerstone singers and band, you are magnificent.